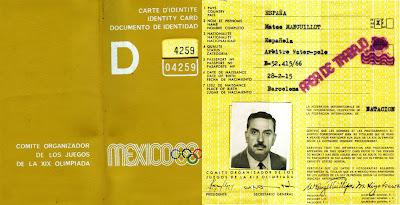 The accreditation card of the Spanish referee Mateo Manguillot in Mexico 1968 Olympic Games. Manguillot has been one of the best International referrers during the 60’s and 70’s. In 1972 he has been selected as member of FINA IWPC.